Nearshoring is one of the forms of outsourcing, where an organization outsourcers its business processes to an outsourcing partner who provides cheaper services. The main differentiator between offshore outsourcing and nearshore outsourcing is that the outsourcing partner in nearshore outsourcing is located geographically closer than the outsourcing partner in offshore outsourcing. The term "Nearshore" has been taken from the fishing industry and now it is used widely in the world of outsourcing. Earlier, outsourcing meant sending some of an organization's processes to lower cost countries such as, India, China, Philippines etc. But today, more organizations are moving towards nearshore outsourcing, because nearshore outsourcing offers greater security and constancy along with cost-effectiveness. These reasons have made nearshore outsourcing a good alternative to offshore outsourcing. Organizations decide on nearshore outsourcing because there are fewer risks and uncertainties when compared to outsourcing the work to an offshore partner. Countries such as Canada and Mexico have good IT infrastructure and offer lower cost services. These countries are also closer to the U.S and have experience and skilled professionals who can provide high-quality IT services. Such advantages have made these countries an ideal choice for nearshore outsourcing. The close proximity to these countries have made outsourcers develop better working relationships, better communication and better project management. Nearshore outsourcing partners have also been able to provide better quality control and better services. These factors have made organizations choose nearshore outsourcing. Read about why India continues to maintain a dominant position among outsourcing destinations despite the prevalence of nearshore options. Outsource2india offers a wide range of services from its world-class facility in India. O2I's suite of services includes Data Entry Services, Engineering Services, Healthcare BPO, Finance and Accounting Services, Software Development, Research and Analysis Services, Photo Editing Services, Creative Design, Web-analytics Services and more. Redefine your business through outsourcing to India. Contact Outsource2india now. The following are some reasons why organizations opt for nearshore outsourcing. In nearshore outsourcing, outsourcers can frequently visit their outsourcing partners. Since the countries are closer, traveling becomes easier and cheaper. There might be no need to get a business visa or go through tedious rules, as is the case in offshore outsourcing. Closer proximity also offers a better level of communication between the outsourcer and the vendor. Work happens faster and there is a greater understanding of the work to be done. Moreover, both countries would be in similar time zone. This makes the work happen at the same time and there is better coordination throughout the project. Cultural affinity between the outsourcer and he outsourcing partner is another advantage that nearshore outsourcing offers. Since both the countries would have a similar cultural background, it would bee easier to coordinate and communicate. The similar cultural background bridges the gap between the outsourcer and the outsourcing partner. Organizations feel that this is important as it reduces problems arising out of cultural diversity. Organizations mainly started outsourcing because of the cost factor. But since costs are increasing in countries like China and India, organizations are on the look out for cheaper destinations. Some nearshore locations offer cheaper services than the services offered in offshore locations. This advantage has made organizations choose nearshore outsourcing. 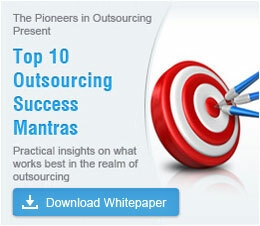 India is currently the number one outsourcing destination. But since there are numerous companies outsourcing to India, outsourcing experts feel that there will be a lack of resources in India over a period of time. If in the future organizations are not able to find resources in China, Philippines and other offshore locations, then nearshore countries would stand to gain. Read our well researched article on - Preferred Outsourcing Destination - India or Philippines, to know how India fares in comparison to Philippines. Organizations have now started believing that nearshore centers offer more stability and a stable atmosphere when compared to offshore centers. Although in countries like India, organizations have not experienced instability, outsourcers have still felt the need to set up additional offices in nearshore centers in case they experience any instability in their offshore locations. Find out how rightshoring can help you experience the best of outsourcing.